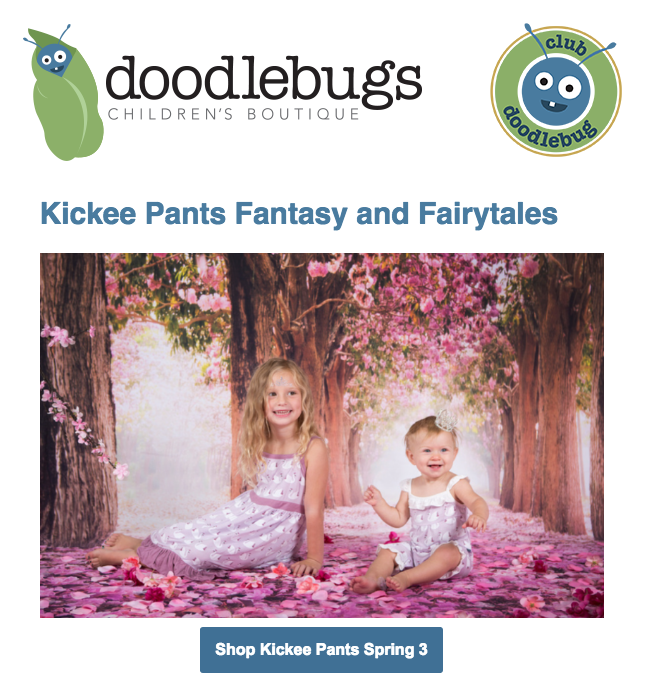 Doodlebugs is an online children’s clothing boutique with the hottest brands in kids’ fashion. We helped the owner create her brand and build a marketing and website strategy that would set her apart from the competition. 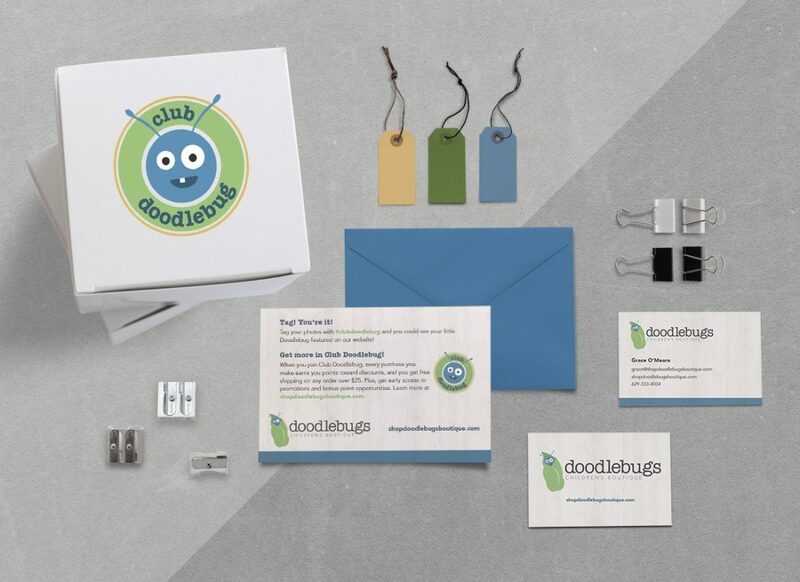 First, we created original branding for Doodlebugs. The owner wanted something cute, but not “cutesy.” (There is a difference!) The color palette is earthy and absent any pinks or pastels, which plays a big part in avoiding overly girly or dainty branding. The crazy-eyed bug adds a touch of quirkiness, perfectly reflecting the owner’s own take on life and parenting. Using Doodlebugs new brand identity, we created several pieces of collateral, including postcards and stickers to be sent with every order. 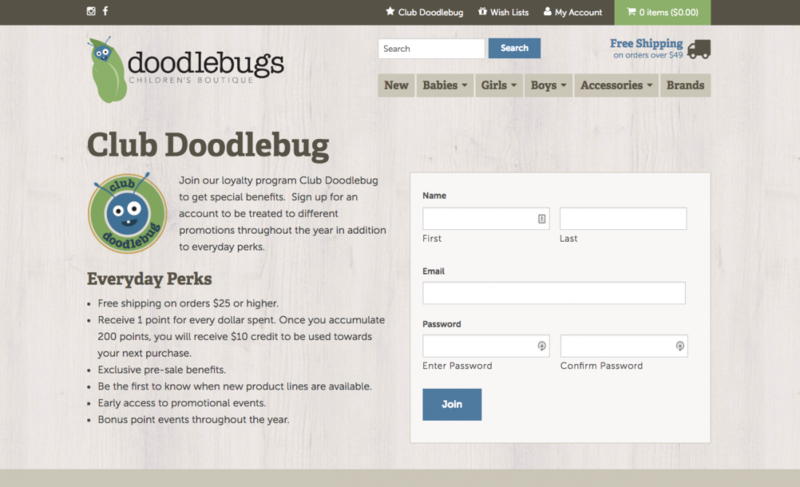 Club Doodlebug, a loyalty program, is a major differentiator for the boutique, and we helped the shop work through the specifics, and build the functionality into her store. We set up the framework for an email marketing program, so that the owner can easily and quickly send emails about new releases and sales without our help.